The U.S. Food and Drug administration has just approved a new test for attention deficit hyperactivity disorder (ADHD). According to the FDA, the device will give health care providers a more accurate diagnosis for the condition. But is this test really helpful and necessary? The FDA made their decision to approve this device based on research conducted by the manufacturer of the product. The study involved 275 children, aged 6-17 years old, who were previously diagnosed with ADHD. The test relies on electroencephalogram readings to monitor several brain waves which seem to be more commonly produced in children who experience ADHD. An outside panel of scientists reviewed their results to determine if the children were diagnosed correctly. The problem with this type of research is that it was done by the company seeking approval from the FDA without the research being repeated by a neutral organization. Another problem is that there was no control group in which to compare the results. How do we know that the device wouldn’t have shown a similar result in a child who was not previously diagnosed with some type of ADHD? Lastly, all the participants were previously diagnosed with some form of ADHD before the experiment begun. How accurate and relevant are the results, in this case? Approximately nine percent of children suffer from ADHD. The disorder is characterized by hyperactive movements, uncontrolled behavior, impulsiveness, and learning difficulties. Current treatments include various drugs used for depression and the popular central nervous stimulant “Ritalin.” Although there are reported results including better control of impulsiveness and hyperactivity, the drugs come with many side effects such as mood swings, aggression, panic attacks, anxiety, and palpitations. So what else can people do to treat ADHD? 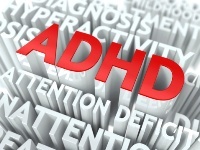 There are natural remedies for ADHD. Changing your diet can be very helpful in managing this condition. Organically derived diets, devoid of food additives, sweeteners, colors and dyes, have been shown to help children who have ADHD. Another one of the best natural remedies for ADHD is to feed children diets lower in refined carbohydrates and sugar, which studies have found to be associated with less reactive hypoglycemia (low blood sugar) and less aggravation of their ADHD symptoms. Some children, especially in the cases where they were not breast fed, can commonly exhibit food allergies (the common foods involved are wheat, dairy, citrus, corn, soy, and chocolate). Improving the diet and providing the child with a regular opportunity to exercise, participate in a sport, or become more active is also an extremely important method to treat ADHD symptoms. I couldn’t agree more with Dr. Pelham. Tavernise, S., “Brain Test to Diagnose ADHD Is Approved,” New York Times web site, July 16, 2013; http://www.nytimes.com/2013/07/16/health/brain-test-to-diagnose-adhd-is-approved.html?ref=health&_r=0, last accessed July 16, 2013. “Ritalin,” http://www.drugs.com/ritalin.html, last accessed July 16, 2013. Murray, M., et al., Encyclopedia Of Naturopathic Medicine (Prima Publishing, 1998): 273-281.